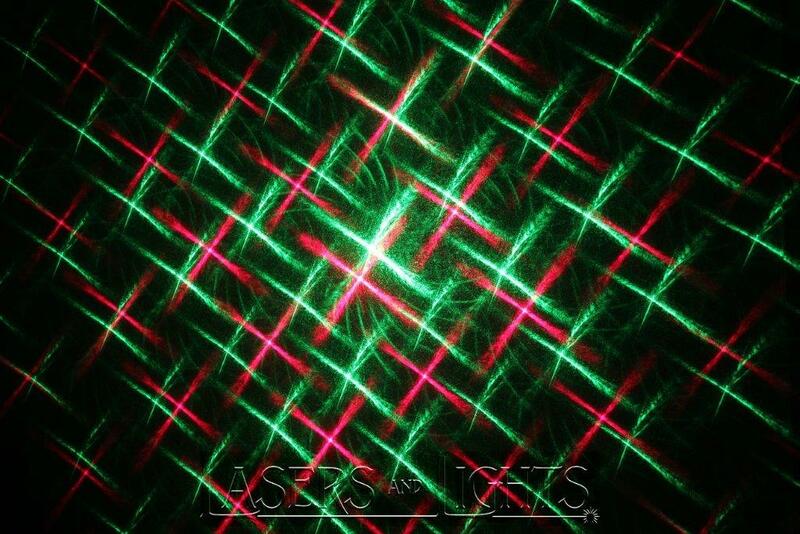 Affordable Multi Pattern Red/Green Laser Projector 4 Pattern. They even have a sound responsive setting so they will react to music. Soon we will have similar models available in outdoor projectors with remote controls. 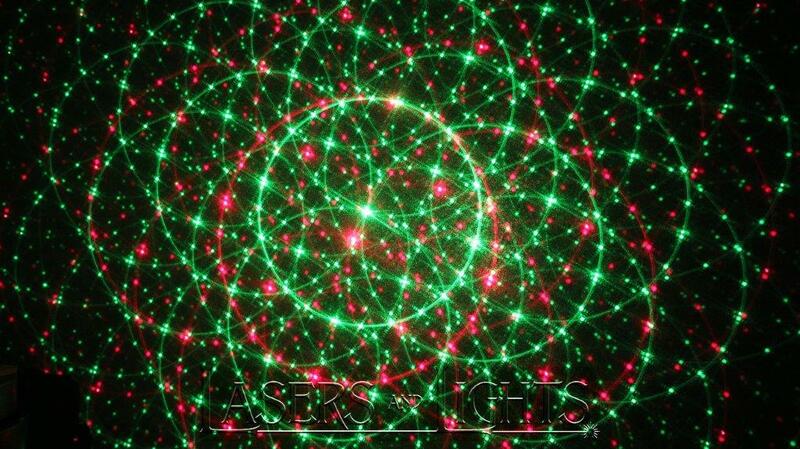 The realm of laser projectors is expanding exponentially with more sophisticated moving beam designs in multiple colors and patterns. Green will always be the most visible color by far but when projected onto light colored surfaces the red or blue can be effective too. Here are just a few of the patterns from the 4 pattern red/green models we have in stock currently. 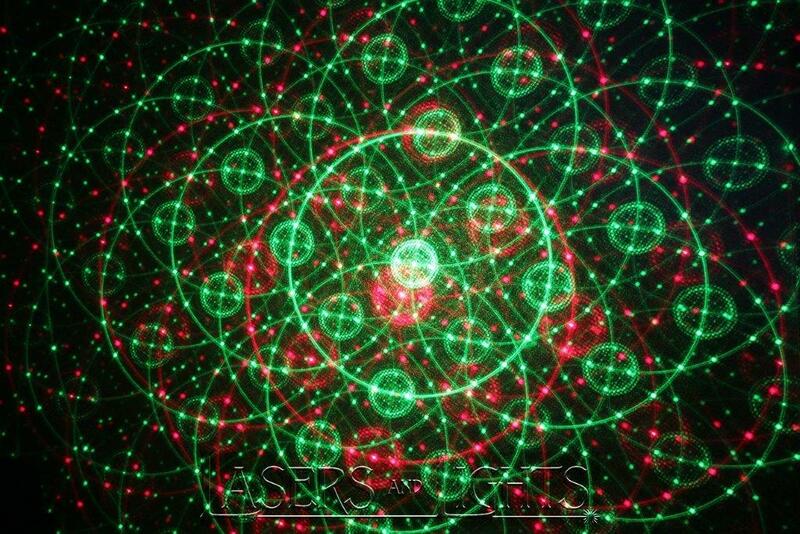 The projectors speed can be adjusted to stop on any pattern and remain there as a fixed artwork design until adjusted. Imagine projecting this patterns across enormous wall spaces in large venues or as an accent to your living room or bedroom. 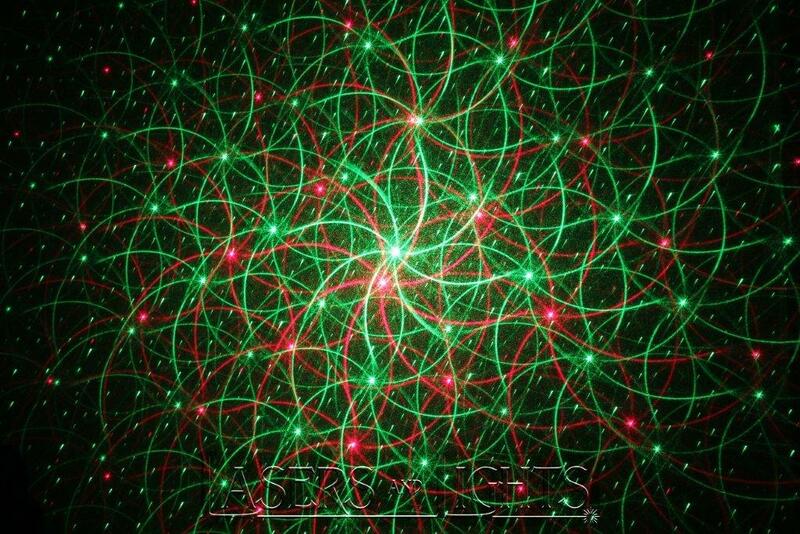 At close range the colors are more intense and patterns more condensed but they can be projected at 20 to 50 feet or more to make the patterns grow immensely. As always, the effects are more visible when projected on white walls and ceilings in a dark environment. 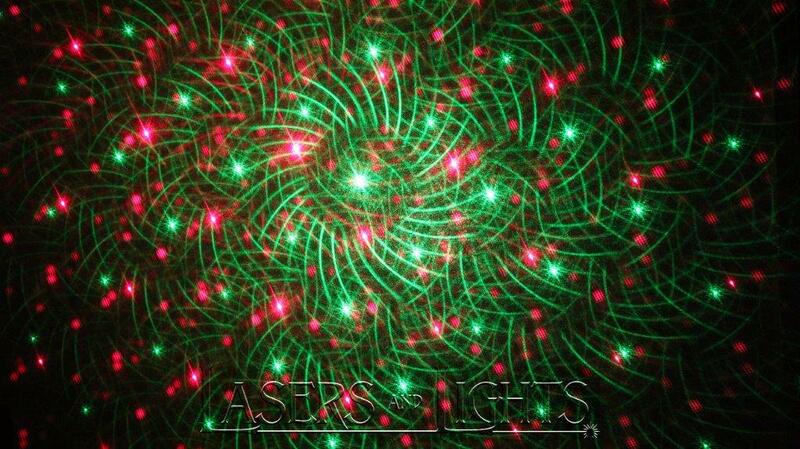 If you add a fog machine the laser beams will become three dimensional rays of light in mid air. During warm dry summer conditions these projectors can be used outdoors too. *Patterns will vary on these imported inexpensive novelty projectors. Older Patterned laser projector projecting on solar powered "GalaxyGlo" Patterned laser projector projecting on solar powered "GalaxyGlo"